Theresa May has said that cladding from 120 high-rise buildings across England has failed fire safety tests carried out in the wake of the Grenfell Tower disaster. But is the Government’s investigation overlooking another potentially crucial issue – insulation? The Kingspan Group’s statement to Channel 4 News is published in full below. Kingspan shares the continuing shock and sadness around the events at Grenfell Tower, and our thoughts are with all those affected. We recognise that this terrible tragedy has raised understandable concerns about the implementation of building regulations, the adequacy of those regulations, the materials used in building construction and refurbishment, and how these impact one another. As a responsible supplier of insulation products in the UK these are issues that we take extremely seriously, as they impact all our lives. To that end, Kingspan supports a full and wide ranging investigation to establish the facts of what has happened in the recent tragedy as the only basis for a more considered debate and review of building safety and regulation for the future. Kingspan is fully committed to engaging with all stakeholders and to taking all appropriate actions to ensure the optimum safety of buildings, including high-rise residential tower blocks. Kingspan believes that large scale testing of complete systems is the only robust approach to fire testing. Small scale testing on individual products lacks this rigour and has the potential to significantly mislead, alarm and misinform future policy. Similarly, in our view, a reliance on so-called non- combustible materials ‘deemed to’ pass without any ‘in use’ fire testing represents a significant gap in current fire safety regulation. Kooltherm K15 is not a cladding material but it has been successfully tested by BRE as a component in a range of ventilated rainscreen systems, to British Standards 8414–1 and 8414–2, as required by the Building Regulations for buildings above 18 metres. K15, has the advantage of excellent fire performance; importantly it does not readily propagate fire and ultimately it self-extinguishes whilst substantially mitigating smoke release. 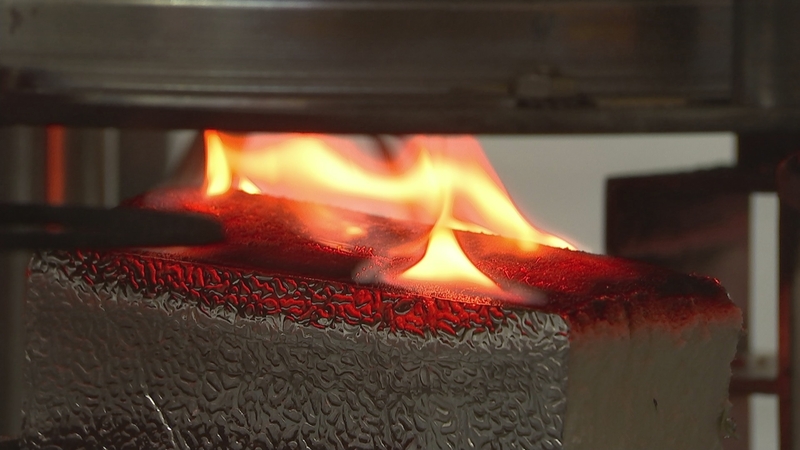 Our research, using large scale fire tests on ventilated rainscreen systems shows that systems containing Kooltherm K15 can display similar fire performance to systems containing mineral fibre products that are deemed non-combustible. Fire safety is an extremely complex area. The safety of a building is influenced by a wide range of factors including height, use, compartmentation, sprinkler installation, fire and smoke detection, means of escape, flammability of building contents, proximity and exposure of utilities such gas lines as well as the combination of materials used in exterior walls and internal finishes. As a conscientious and responsible manufacturer Kingspan produces products that comply with the applicable (CE) product safety standards. Similarly, compliance with fire safety regulations for buildings is the responsibility of building designers, building contractors, building control and building owners, and responsibility for ensuring the adequacy of those regulations rests with the Government. Kingspan remains confident that properly installed and specified our products deliver reliable and energy efficient insulation solutions and we will continue to provide appropriate information to customers to ensure they are aware of the appropriate routes to compliance using Kingspan products. The use of Kooltherm K15 boards or indeed any competing insulation brands to complement cladding that is not compliant with Building Regulations would never be acceptable to Kingspan or any other responsible provider.